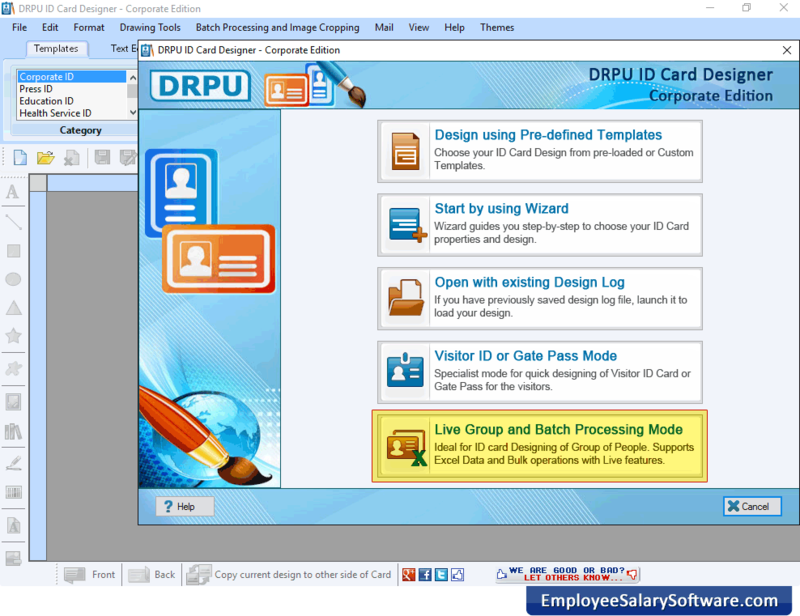 Select any one mode to design identity cards, as we have selected 'Live Group and Batch Processing Mode' for demonstration purpose. To create new project choose 'Start with new Project' and to make changes in existing project choose 'Select existing Project' option. Here we have selected Start with new Project option, Enter project name, project path, excel file path and click 'Next' button. 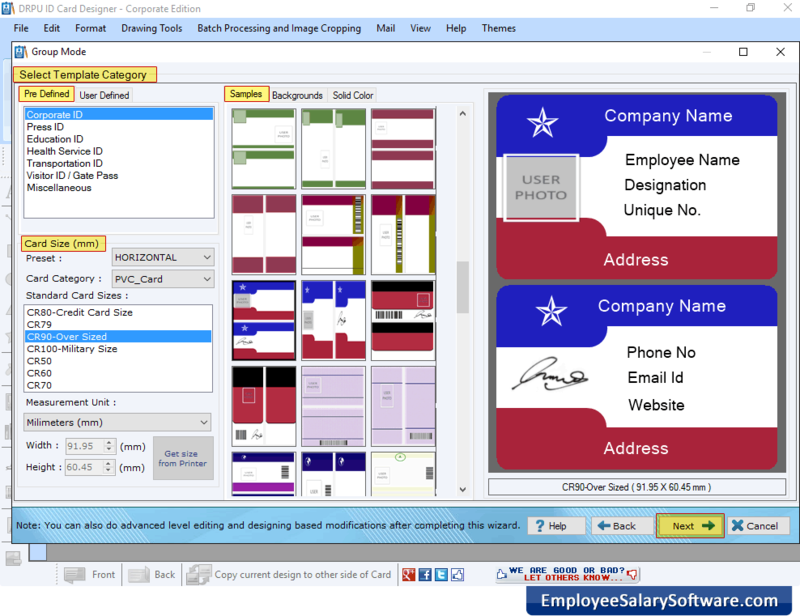 Software has various pre-loaded ID Card Design, select any one template. Enter card size and click Next button. 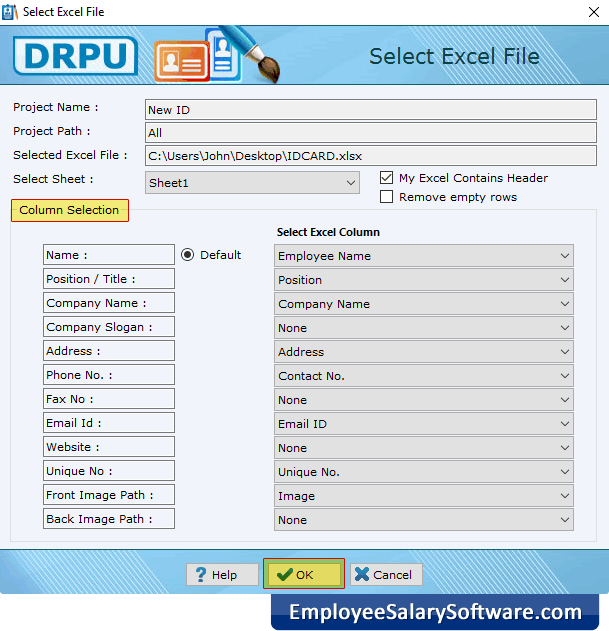 Select excel sheet and excel column to fill user details on ID card. You can update excel column and view excel data. 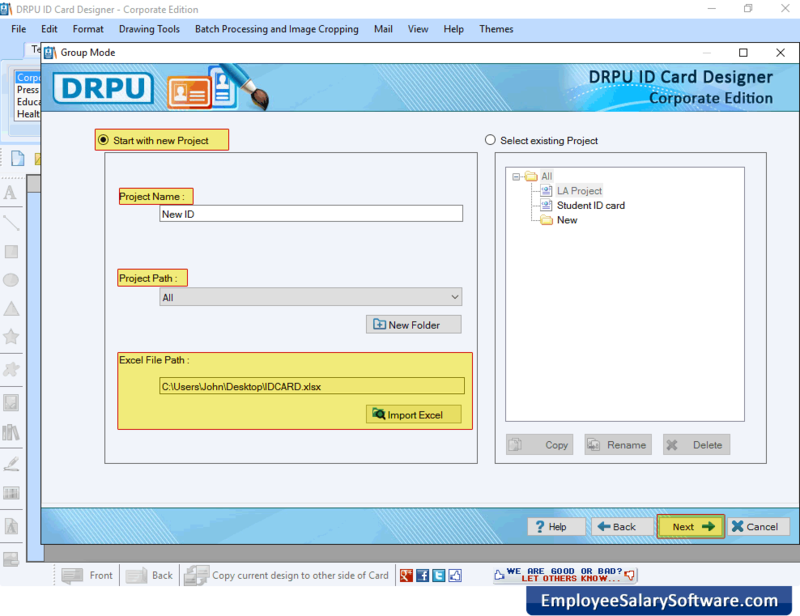 You can take picture using Camera option for adding photo on ID card. 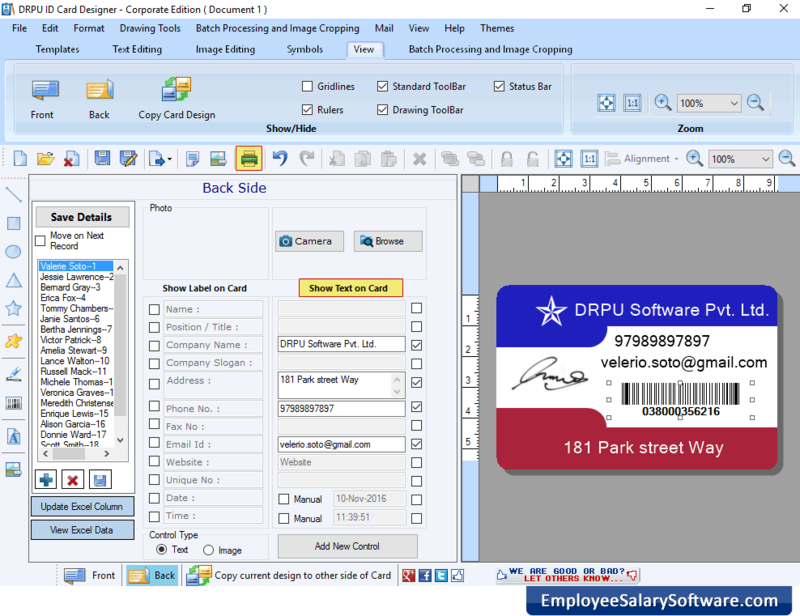 Software has feature to add barcode on identity card. 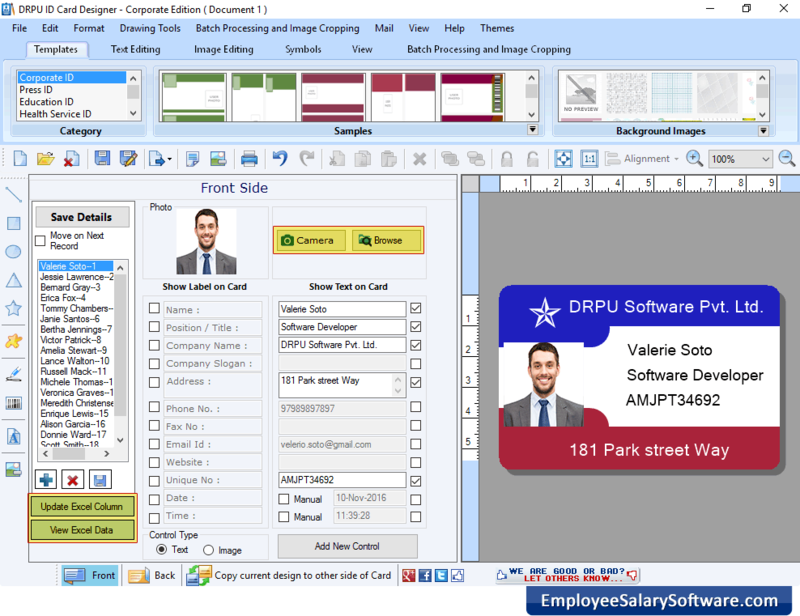 Click print icon from tool bar to print designed ID card. 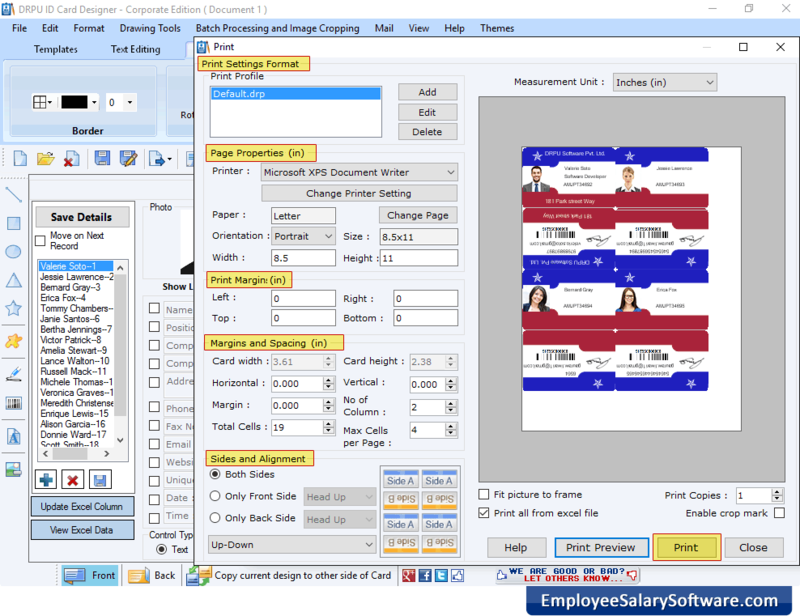 Fill various print settings and click on 'Print' button to print designed ID cards.